MORGANTOWN, W.Va. — A West Virginia University-hosted event will provide unprecedented access to renowned sport sciences professionals. 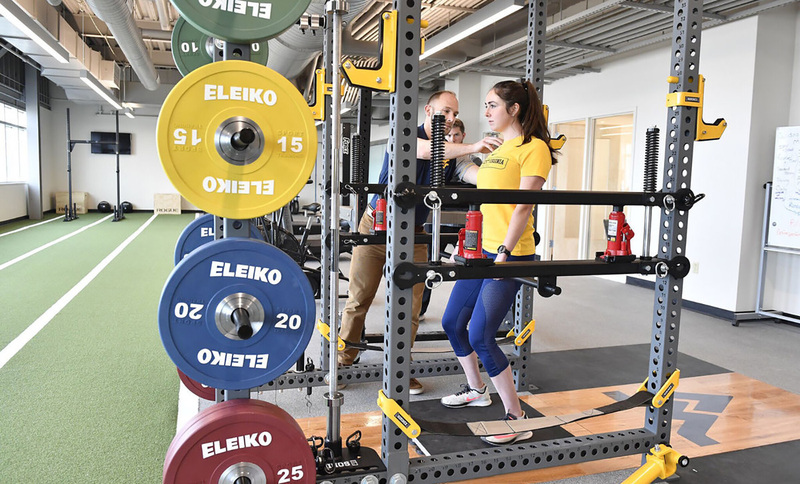 The second annual gathering, 8 a.m. to 5 p.m. Saturday (April 13) at the WVU Erickson Alumni Center, will highlight a tour and hands-on application at the WVU Rockefeller Neuroscience Institute Human Performance Center. “This is an incredible opportunity for coaches and strength coaches in the state and surrounding area. 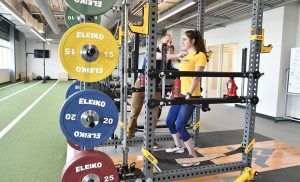 Participants will have a behind-the-scenes look at the RNI Human Performance Innovation Center,” said Guy Hornsby, WVU College of Physical Activity and Sport Sciences athletic coaching education teaching assistant professor. “The center conducts research to maximize human performance through accelerated recovery, reduced injury, readiness and wellness and works in close collaboration with CPASS,” Hornsby added. Hornsby, who serves as the NSCA WV state director and state clinic director, says seminar speakers represent world leaders in the field of strength and conditioning and sport science attending. “It is a tremendous chance for students to learn from icons in the field,” added Hornsby. Industry professionals will include Josh Hagen, John Wagle and Ed Pistilli. CPASS faculty member Kristen Dieffenbach, athletic coaching education associate professor, will address professionalism in strength and conditioning and sport science. The Center for Applied Coaching and Sport Science at CPASS will host the event. WVU graduate assistants Mike Delong, Jason Stone, Jarrod Burton and Billy Cedar will speak at the clinic. Topics will cover applied sport science, athlete monitoring in coaching and training, internal and external load monitoring, coordinating collegiate and Olympic athlete monitoring programs, neuromuscular aspects of sport performance, and recovery strategies and technologies. The National Strength and Conditioning Association is the world-leading membership organization for thousands of elite strength coaches, personal trainers and dedicated researchers and educators. The organization brings together top strength and fitness professionals, while offering collaborative opportunities for professionals and students in the field.